This is the first time I’ve read anything by this author, but I’ve been so intrigued by this series. I’ve seen it around for months. 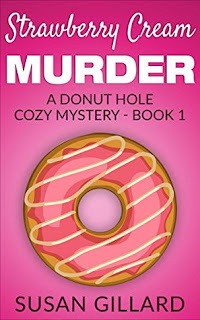 It’s the first book in the “A Cozy Donut Hole Mystery” series. So far there are 16 books in the series. That’s a lot but they are short books. It’s approximately 200 pages a book. I liked the main character, Heather. I did have a couple of problems with her walking freely around the crime scene. 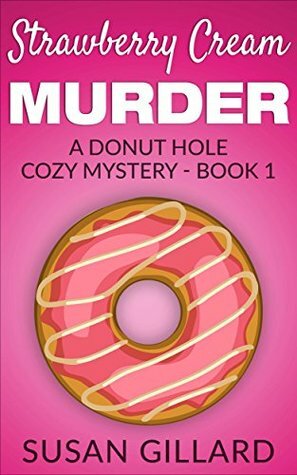 She’s not part of the police, she owns a donut shop. Then, there were a couple of problems with the editing of the book. I was bothered by a couple of things, which I don’t want to specify because I don’t want to inadvertently giveaway spoilers, but I got over it. I was still able to sit back and enjoy the story. Disclosure: I got this one as a Kindle freebie. All opinions expressed are my own. I think I'd enjoy this book. I like reading series in order and when I saw that there were 16 books I thought I'd skip reading them, but since they're only about 200 pages each, it's not as daunting. I just checked out the series on GoodReads and all the books have good ratings. Maybe I'll decide to read it. Sixteen books? Wow. I don't think I've heard of this series before. The walking freely around a crime scene would annoy me too. that's just not likely. I'm intrigued too by what bothered you. Not intrigued enough to read though; I have too many other options n my TBR pile that are more promising. I have that problem with a lot of mysteries with amateur detectives. Why are these people not getting arrested for obstruction of justice or something? I think when we read cozys we just have to acknowledge them for the fun mind releasing relaxation they are and not expect them to be realistic.